We start at 8:30 from your hotel. Next we drive to visit the Rozafa castle and the museum inside the castle. 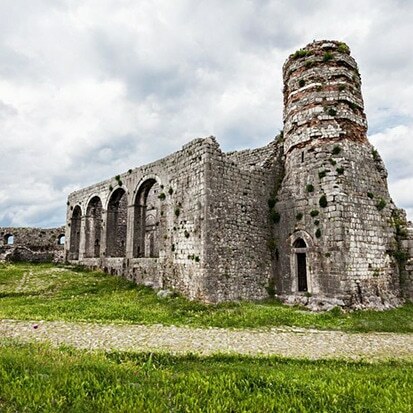 Along the way, you will be rewarded with fantastic views of Shkodra Lake and the Lead Mosque.The museum showcases artifacts from the Hellenistic and medieval periods up until World War I. As you walk along the Illyrian walls from the 4th-century, you will learn about the history and the vivid legend of the woman who got walled in alive within the castle walls. Soak up the atmosphere and enjoy the breathtaking views over the confluence of Buna, Drin and Kir rivers. Once inside the castle, you will see the monument of Rozafa feeding her baby from the walls. In addition you will get to know more about the people’s history and how they survived different occupations.The next stop is the museum that sheds light on every stone and ruin you have visited so far, giving answers to the questions you might have had throughout the tour. Finish off by soaking up the breathtaking views of Tarabosh mountain and Shkodra Lake and enjoy some free time to shoot pictures. Visit one of the most prominent castles from the 4th-century. Explore the museum in the castle for a better understanding of the Albanian History. Learn about the castle, myths and legends. Enjoy the panoramic vistas of Drini, Kiri and Buna rivers from the castle top. We start at 8:30 from your hotel. Next we drive to visit the Rozafa castle and the museum inside the castle. 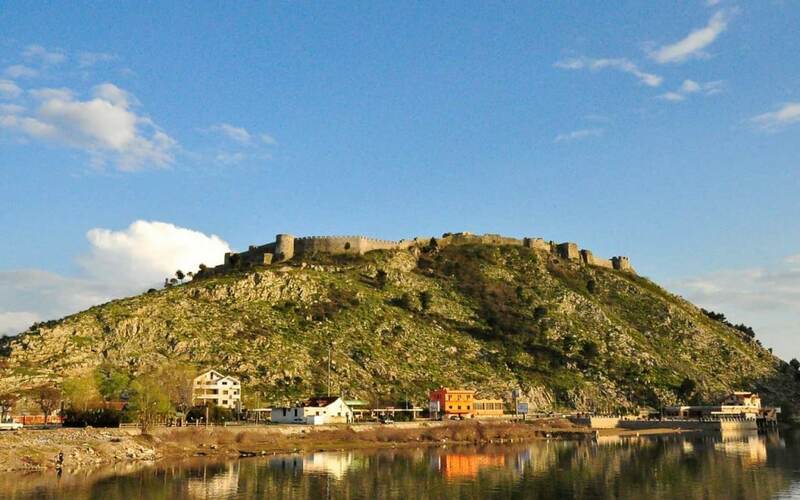 Along the way, you will be rewarded with fantastic views of Shkodra Lake and the Lead Mosque. The museum showcases artifacts from the Hellenistic and medieval periods up until World War I. As you walk along the Illyrian walls from the 4th-century, you will learn about the history and the vivid legend of the woman who got walled in alive within the castle walls. Soak up the atmosphere and enjoy the breathtaking views over the confluence of Buna, Drin and Kir rivers. Once inside the castle, you will see the monument of Rozafa feeding her baby from the walls. In addition you will get to know more about the people’s history and how they survived different occupations.The next stop is the museum that sheds light on every stone and ruin you have visited so far, giving answers to the questions you might have had throughout the tour. Finish off by soaking up the breathtaking views of Tarabosh mountain and Shkodra Lake and enjoy some free time to shoot pictures.